Red Bird-of-Paradise in the shape of a heart. 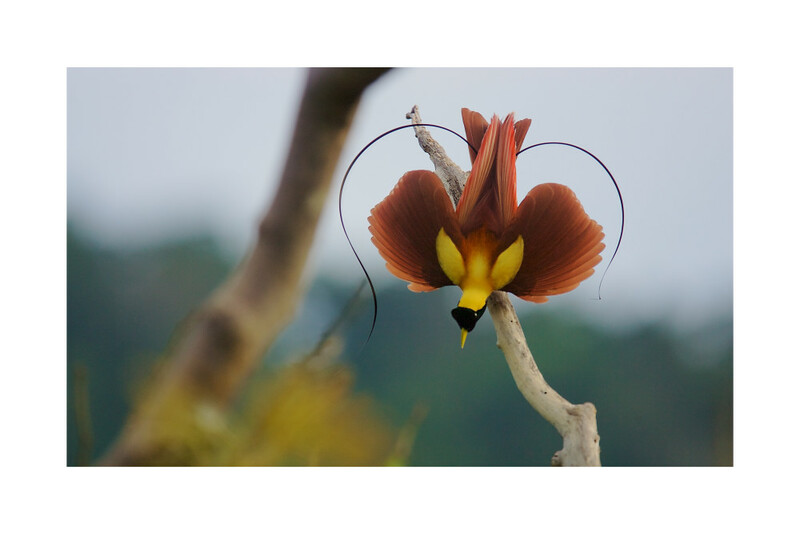 A male Red Bird-of-Paradise performs an inverted display at the top of the rain forest canopy, his extraordinary tail wires forming a heart-shaped arc around his outstretched wings. Batanta Island, West Papua, Indonesia.